As a result of Tuesday’s election, Medicaid expansion is poised to come to three states. Voters in Idaho, Nebraska and Utah all approved ballot initiatives that require the state to expand their Medicaid programs as allowed by the ACA. To read more about this and for a link to a Kaiser Family Foundation post about what the election means for Medicaid expansion, check out our news item. A new issue brief from the Kaiser Family Foundation demonstrates how insurance companies are able to keep premiums significantly lower for short-term, limited duration health plans. One of the main ways that insurance companies keep premiums lower for these plans is by denying coverage to people with pre-existing conditions. To learn more about how insurance companies keep premiums for these plans lower and for a link to the issue brief, check out our news item. As you are assisting consumers with open enrollment, there are a few resources that are available to provide some quick answers to any questions you may have. 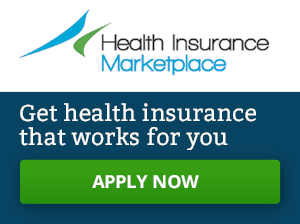 The Georgetown University Center on Health Insurance Reforms (CHIR) has an online navigator guide and the Kaiser Family Foundation has FAQs for consumers about the ACA marketplace and a health insurance calculator which has been updated to include information for 2019 premiums and helps consumers understand how much a health insurance plan could potentially cost them after accounting for premium tax credits. Links for all of these resources can also be found on the NDNRC resources page under “Enrollment Resources – Overview”. If you have any questions about assisting consumers with disabilities, please be sure to check out our Disability Guide. For all the resources the NDNRC has to assist consumers with disabilities, be sure to check out our blog post which highlights all the resources available on our website. The Georgetown CHIR, along with the Commonwealth Fund, has also posted an analysis of what states are doing to fill in the gaps since the federal government has cut funding for ACA marketplace advertising and consumer assistance programs like the navigators. The CHIR blog has also posted a summary of this analysis. 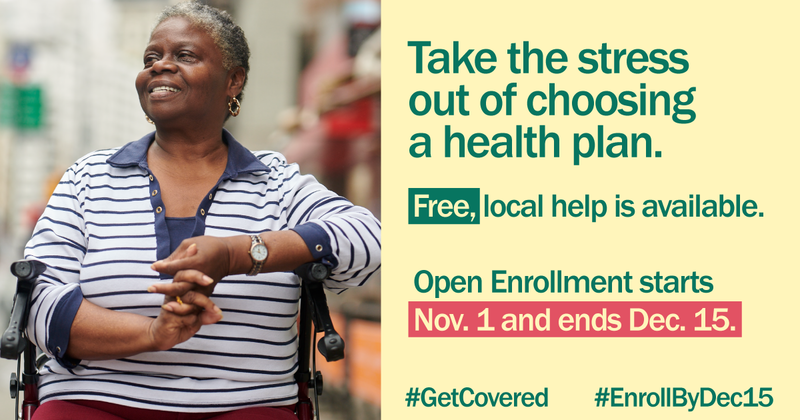 AAHD is working with Community Catalyst and other partners in doing outreach for Open Enrollment Year 6 (OE6) and educating individuals about enrolling for health insurance for 2019. To read more about what this project will do, or for a link to access the online drive of images like the one below which can be used to highlight OE6, check out our blog post. In February we published a blog post which captures all the news and resources on states who are adding work requirements to their Medicaid programs. This week we added a new blog post from the Center on Budget and Policy Priorities on Wisconsin’s recently approved Medicaid waiver which includes a work requirement as well as other provisions. If you want to learn more about our new project with the NIH’s All of Us Research Project, check out the Frequently Asked Questions document about the program. We also presented on a webinar with the University of Montana Rural Institute on October 31. That webinar has been archived.